We all have been window shopping for cosplay shoes at one point. Did you ever have a moment where you found the perfect shoes in your size, affordable and the perfect style, but the wrong color? I know I have. 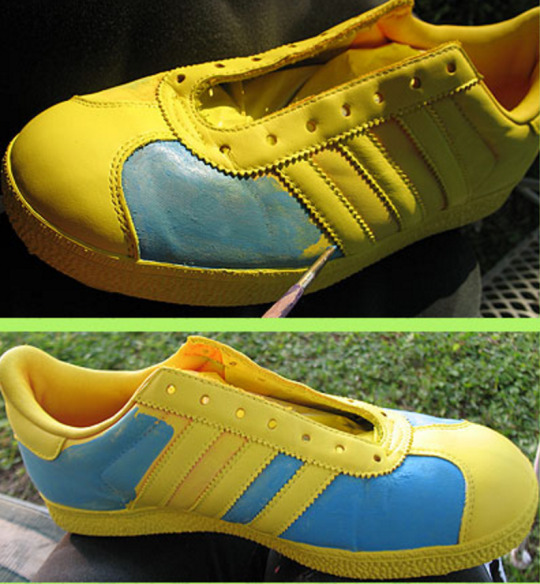 Did you ever try to use acrylic spray paint on the shoes and thought it worked well only for the paint to start cracking after a wear or two? I’m also guilty of that. This is before I found out about the method of using Floral paint, a paint that can be found at your local craft or fabric store. These cans are found in the spray paint section, which is good for easy coverage and run to about $6 dollars or so, which is much easier than buying more expensive but accurate shoes. While it may look the same as any regular acrylic spray paint, floral paint is meant to be used on live flowers, so it is more flexible and is meant to get into nooks and creases like the ones in flowers without cracking or chipping off. 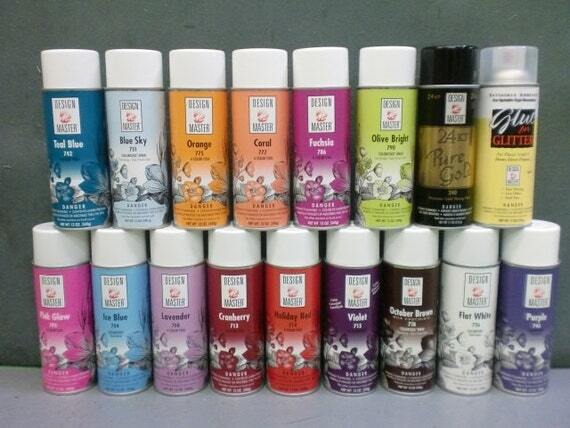 It comes in a wide variety of colors and is very easy to use. 1.) First, you take your shoe and make sure to keep it on your foot. This isn’t absolutely necessary but it is easier because you can stretch the shoe with your foot more so that all the creases caused by the shoe’s fabric will get covered and lessens the likeliness of the paint from splitting where the creases are. If you’re not in the mood, spray it while someone else is wearing the shoe or stuff newspaper into them. 2. 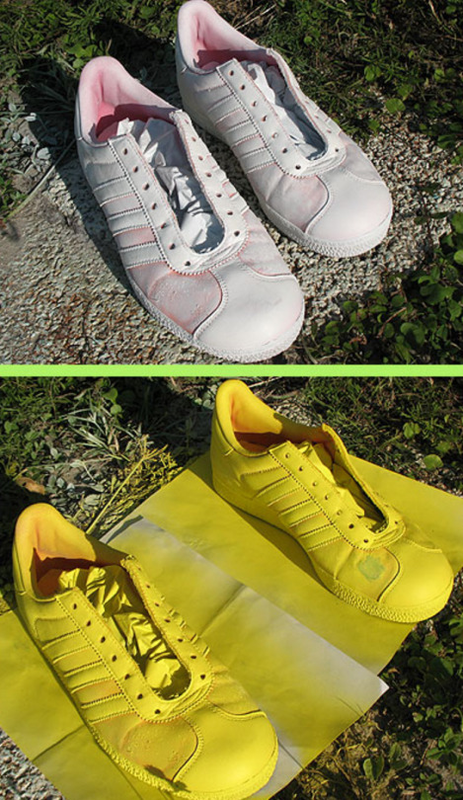 )Clean the shoes off and strip them with nail polish remover. This will take off dirt and let the paint better adhere to the shoes. You can also paint them white to bright the color of the final product. 3.) If you want the heel of the shoe to stay the same color as the original shoe (example: if the heel on the original shoe is black and you want it to stay black before you spray paint the rest of the shoe a different color), take the painter’s tape and cut little strips. Painter’s tape is easy to rip so it is better to rip off small strips and cover the section in it to make sure no paint gets on it. If you just want the entire shoe one color, skip this step. 4.) If the shoe is like a Mary Jane shoe or flat kind of shoe where there is nothing covering the opening of the shoe, stuff newspaper into the shoe so the inside of the shoe doesn’t get covered in paint and rub off on your socks or feet. 5.) Start painting! Take your time and be patient. You can paint the smaller details with a paintbrush. 6.) When your painting is done, feel free to either do another coat, take the tape off and leave it alone, or protect it with the sealant. 7.) 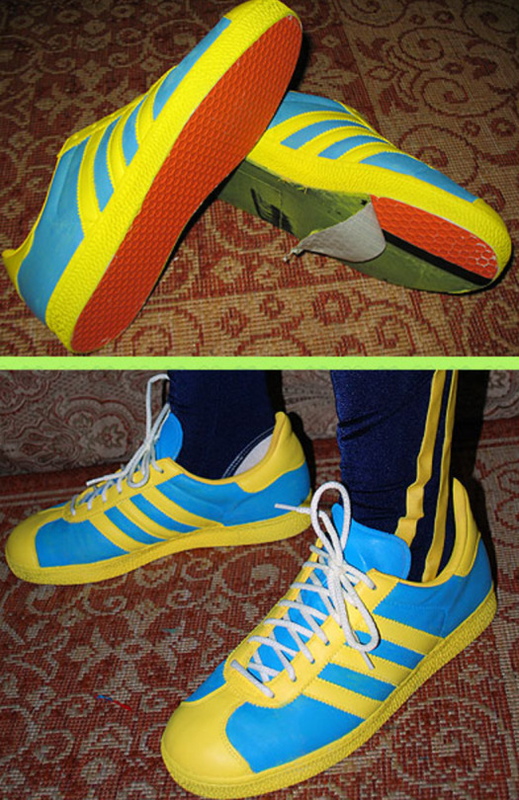 Enjoy your new accurate cosplay shoes for a quarter of the price!! !